When lightning strikes, it does so without warning, often with destruction in its wake and certainly with great speed. The same can be said of everything to do with Cybertronic. The founding of Cybertronic was a sudden, massive take-over of corporate assets by a small, insignificant holding company, Cybertronic Investment, Inc. In the course of only hours, unforeseen by even the Brotherhood’s vaunted Seers, reams of stock and mountains of money changed hands and suddenly a new Megacorporation had taken shape, the fifth in size, sniffing at Imperial's heels in terms of total value of assets. Heads of the other Megacorporations to the man were stunned by the sheer audacity and blinding speed with which another superpower had been born and together they reeled at the savvy required to pull off the stock manipulations that occurred. While unknown at the time, investigations later showed that false notes had been presented for the majority of the purchases made during this stock boon, though it would have been almost impossible to recognize and stop the deals even if someone had known what was going on. But this was only the beginning of the Cybertronic saga. When the new Megacorporation had formed its boards of directors, its management groups, and its marketing agencies, an unprecedented migration of knowledge flocked to the new organization. From everywhere, from the very bosom of the Megacorporations, expert scientists, professors, high-ranking officers, directors, diplomats and administrators broke with their traditions, quit their jobs and joined Cybertronic along with their families. In only two short and frenzied years, the populace of Cybertronic had increased to match its competitors. Today it outnumbers Imperial. Suspicion increased among both the Megacorporations and the Brotherhood, but however hard they tried, no one could find an answer to explain the Cybertronic phenomenon. Many comparisons have been made to explain the phenomenon that is Cybertronic. One of the most commonly referenced comparisons is that it has been likened to a termite mound: a large faceless entity inhabited by millions of workers fulfilling their own, independent agendas, yet almost miraculously achieving the communities overall aims. Carrying the metaphor onward, like termites in their mound, the bulk of the corporation’s work is hidden from sight, buried deep in the HQ, away from prying eyes. What is certain is that Cybertronic is a source of great change within the Solar System, representing both high technology and advanced science, things the system had long since forgotten. It has become a symbol of a new order, a revolutionary direction for the human condition. Suffice it to say this position comes with intense jealousy. Cybertronic is on the minds of the other Megacorporations almost constantly, who simultaneously trade with and wage war against their newest rival. While most of the other Megacorporations wish to obtain the vastly superior yet forbidden technology of Cybertronic, the Brotherhood and their supporters wish to crush such technology and those who would create such abominations. In one skewed view of history, it was the Brotherhood who created Cybertronic. How could this be? While not an oft voiced opinion, it is one that shares considerable latitude. During the later stages of the “Fall”, when the Durand’s persuaded the Megacorporations to abandon their technology and cease all development into technological advancement, countless corporate employees in the technical departments were let go or removed. Those individuals who survived the purge eventually found their way to the countless Independent companies that sprang up after the Treaty of Heimburg was signed. One such individual was Ramone Mannerheim who, after being released from the services of Bauhaus’ BauChemical with the rest of his team, registered his Independent company, Cyberchemical, with the Cartel. At first, Cyberchemical continued the radical researches into the betterment of man through chemechanical means, though their facilities were dreadfully antiquated due to the Brotherhood’s strict Edicts. Ramone kept in contact with the technical departments of other Independent Research & Development firms, noting the Brotherhood’s rise to power and their monopoly on the high technology of man’s distant past. His company, along with others that had formed after the “Fall”, came under continual censure from the Inquisition, with whatever technical equipment and discoveries being either confiscated or destroyed by the agents of the Cardinal. Throughout the Age of Faith, Cyberchemical continued their forbidden research into the possibilities of technology and each new generation of Mannerheim built upon their ancestral research. They were able to avoid the worst of the Brotherhood’s bans by skirting the very edges of their own laws. While thinking computers were strictly banned from development, mental enhancements to the human brain were not. That research came to a head while Cyberchemical was under the direction of Raoul Mannerheim. It was Raoul’s leadership and vision that would propel Cyberchemical to make a discovery that would change the very face of the Solar System- the ability to literally merge man with machine. Cyberchemical’s success ultimately came about through their relations with the other technical Independents, which the Mannerheims had maintained since the Age of Faith. Each of these Independents had fallen under the scrutiny of the Brotherhood, though in varying degrees, and had formed a tight bond with Cyberchemical under their shared pain. They each contributed to Cyberchemical’s discovery and, like components in a great machine, made the process of adding machine to man, and man to machine, possible. Cyberchemical was ecstatic, as were the other Independents within their tech-clique, by the discovery, especially since the test subjects showed a resistance to the crippling effects of the Dark Symmetry. This was a most curious side effect. Perhaps, the board of directors of Cyberchemical believed, the problem the Brotherhood feared was not in technology, but in raw technology, devoid of the human soul. Perhaps the Dark Soul fills the void found in a calculating machine. Regardless of the philosophical ramifications, Raoul finally had done what was said could not be done. He had created a technology that was resistant to the Darkness and he was ready to bring his discovery in front of the Cartel, proving that all could enjoy the technology of the past and that the words of the Brotherhood were now obsolete. Raoul Mannerheim was due to meet with Cartel officials but failed to show up at the planned meeting. When Raoul’s security reached his residence, they found it ransacked, the research files missing, and Raoul dead from an assassin’s bullet through is heart. Cyberchemical managed to attain the body before the Brotherhood’s mandatory Cremators took the body for burning. Raoul’s grandiose mausoleum now resides on Luna within the confines of Cybertronic’s main headquarters, a painful and infuriating reminder of the Brotherhood’s awesome and final power. Sergei Mannerheim, Raoul’s eldest son and genius in his own right, took control of Cyberchemical following his father’s demise and put his sire’s plans into motion, plans that were only to be used in the event of Raoul’s untimely death. Motivated by a new sense of urgency the executive’s of the original 12 Independent companies that contributed to Cyberchemical’s success merged into a loose coalition, christened Cybertronic Investments Incorporated. As a rule of thumb following the untimely demise of Raoul, the newly formed company adopted a policy of anonymity to help protect its members and its leaders. Under this veil of secrecy, the director of the corporation could continue their works unobstructed and hopefully safe from the prying, deadly eyes of the Brotherhood. Of surprise to people in the know was the appointment of a long-time Mannerheim advisor and confidant to the position of Chairman of the Board. The head of this new company was not known to most members of the corporation but was accepted largely for his prior role with the Mannerheim’s organization. Referred to as the 13th Executive, it was through the abilities of this mysterious leader that Cybertronic Investment Inc. ultimately became Cybertronic Corporation. After years of collecting both businesses and facilities that were predominately technological in nature-both pre and post Fall, Cybertronic Investment Inc. pulled off a truly amazing economical coup. To this day, the exact nature of Cybertronic’s founding remains unclear, despite countless investigations. Somehow, they managed to manipulate the Lunar Stock Market, forcing the other Corporations to panic and sell off large chunks of their stock at ridiculously low prices. The brokers of Cybertronic Investments performed with unheard of coherency and precision, buying up all of the sold stock simultaneously. In the span of a minute, Cybertronic as we know it today was born. Cybertronic manufactures most of its own equipment internally, making it one of the most autonomous of Megacorporations. Their products are extremely advanced by the standards of the day and incorporate the newest breakthroughs in miniaturization technology, biochemistry and bioelectronics. Remarkably, their designs are more than just advanced technologies for even their materials exceed those commonly used today. Rather than manufacturing with conventional materials, Cybertronic uses ceramics and plastics extensively, finding these materials superior to smelted ores. In fairness, the materials they do use are infused with special “super alloys” as base materials, giving them superior performance, resilience and tensile strength compared to other products within the same field. This coveted technology is thankfully expensive to fabricate and thus limits its affordability and usage. The relatively small size of this Megacorporation, combined with the high price of its manufactured goods, makes these designs hard to find on the open market. Because of the complex technology and sophisticated materials used, Cybertronic products have been impossible to duplicate much to the chagrin of Mishima. This means the Cybertronic equipment is very expensive for everyone not involved directly in the Megacorporation and thus creates a tenuous dependency on the newest Megacorporation for its goods and services. It is this trade that has given Cybertronic the tools and the protection necessary to remain intact despite the hostilities of both the Brotherhood and Imperial. It is the very need it creates that allows Capitol and Bauhaus to tolerate its existence. In truth, all the Megacorporations benefit in varying degrees by the presence of Cybertronic. Only Imperial seems the least dependent on their trade. The exact nature of Cybertronic’s business empire is still unknown largely due to its very secretive structure, which is divided up into “departments” much like Imperial but without the Clan’s instabilities or inefficiencies. A large section of Cartel personnel is busy tracking down and untangling the impenetrable web that is supposed to be Cybertronic's corporate structure and most are finding it would be easier to get an apology from an Inquisitor than penetrate Cybertronic’s secrets. In some cases, up to five-hundred links of ownership have been investigated before finally being able to trace the ownership of a subsidiary to Cybertronic, and since the holding companies might change owners and names by weeks end, one can understand the difficulty of mapping the Cybertronic corporate empire. Cybertronic, more than any other Megacorporation, is known to use numerous dummy businesses and false fronts to purchase the facilities and raw materials that allow the “Silicon Corporation” to grow somewhat unimpeded. By the time another Megacorporation finds out that they have lost a bit of their empire to Cybertronic, instead of some start-up or Independent, Cybertronic has already set up shop (in record time) and is more than ready to defend what is now theirs. Needless to say, many of the Corporations do not like having Cybertronic so close to their assets and these sites quickly become the targets of raids or Hostile Takeovers. Unfortunately, the Brotherhoods influence over the Cartel allows for many normally questionable raids to occur. The board of directors for the Cybertronic Corporation are known simply as The Collective. They are the positions created by the 13 executives of the original Cybertronic Investment Inc. centuries earlier and it is through The Collective’s guidance that modern Cybertronic was born. Little is known about the current 12 directors of The Collective beyond their public presence, and there is absolutely no information about the head of the Collective, the 13th Executive, whose name is not mentioned on any legal documentation on file with the Cartel. The design of the Triangle is a good model for the Cybertronic Corporation. Each vertex of the Triangle is important, as each lends support to the others equally. In Cybertronic, each vertex supports each other in a design of strength. The 3 vertexes of the Cybertronic Triangle are: Research- Development and Manufacturing (RDM), Administration-Economics and Management (AEM) and the, Security- Warfare and Intelligence (SWI). All the businesses in Cybertronic somehow fit into this command structure. RDM possesses the finest minds which Cybertronic can hire or lure away. According to Cybertronic's public relations department, these minds have turned their genius to the betterment of all society, not just the good of the corporation. This is, after all the hallmark of Cybertronic’s activities, that it designs products for the betterment of mankind. Most apparent is this dictum in that Cybertronic is responsible for the most cutting-edge applied technology known today, particularly in the areas of medicine, genetics, and waste reclamation. Of the four divisions making up the RDM, the most important is ARD, Advanced Research and Development. At its headquarters beneath the Cybertronic HQ on Luna, work progresses around the clock as scientists break new ground in creating the amazing inventions for which Cybertronic is known. Although it is important, ARD itself is but one of four major areas within the RDM, none of which would be able to exist without the input of the others. Execution, Production and Distribution (EPD) is responsible for issues of processing and manufacturing. It handles all of the industry necessary for the physical creation of the products Cybertronic develops. In many ways, therefore, EPD is the most important department of the entire Corporation, for without it nothing would ever make the transition from product specifications to actual consumer goods. The work which results in the astounding array of cybernetic products is done by the Cybernetics Research and Implementation (CRI) division whose employees all specialize in various areas of Cybernization-the act of readying and outfitting a human body with cybernetic enhancements. All of the cybernetic implants, and the manufacturing of the chemicals used in conjunction with those implants, are designed by CRI's scientists. A small sub division of the CRI manages the Cyclon Organ Centers (COC) that Cybertronic has created throughout the system. These Organ Centers are little more than body banks, places the disenfranchised may go to sell off various organs and limbs or where the unfortunate come to purchase replacement body parts that are lost to some accident or battle. With the Brotherhood’s stringent ban on mechanized replacements, the use of natural organs to replace lost ones is a process that they can not find fault for. While the COC maintains it would be far easier to simply clone a replacement part, this technology has been banned severely since the Age of Faith and is considered tantamount to Heresy. Since the other Megacorporations staunchly support this opinion, cloning is not a science studied openly today. The specifications both for implants and consumer goods are, in conjunction with input from other departments, created by the Engineering Development and Application (EDA) department, under whose aegis all of the engineering for Cybertronic falls. EDA is also charged with creating the necessary blueprints for the machinery which goes into the manufacturing of the goods Cybertronic sells, although the ultimate responsibility for creating that machinery ties with the EPD. Although there is a good measure of rivalry between the departments, each is seen as vital to the corporate structure, yet all agree that without ARD, which provides the raw ideas, none of the other divisions, let alone Cybertronic itself, would be viable. The Administration, Economics and. Management division (AEM) is the business arm of Cybertronic and, of the three vertexes, it is the largest. In many ways, it can be said to be the most important, as it deals with the whole of corporate society. The AEM is responsible for keeping tabs on all of Cybertronic's holdings and keeping the wheels of the new Megacorporation turning smoothly. As such, those who work in this division must have the knowledge necessary to keep such an organization moving forward and the judgment needed to make important and difficult decisions. This is especially apparent at those times that a Cybertronic employee goes rogue and makes efforts to sell technology to a competing Megacorporation. Legislation and Applied Justice (LAJ) is the legal arm of Cybertronic. This division is responsible for seeing that the corporate laws are followed, and it metes out punishment to employees unwise enough to break the code. It is thought that LAJ is the division responsible for the “tragic” accidents which seem to befall those rare individuals who leave Cybertronic for other Corporations, though no direct involvement has ever been proven and the occurrence is admittedly rare. Education, Training and Publicity (ETP) is the division which creates orientation programs and additional educational media for Cybertronic employees. ETP is also responsible for creating the ideas for all of Cybertronic's media, since The Collective sees advertising as nothing more than another form of education. In the same vein, ETP also handles all of Cybertronic's public relations efforts, including the quarterly and annual reports which are so eagerly awaited by investors. The day-to-day administration of the Corporation is controlled by the Administrative Bureaucratic Control (ABC) division. ABC is responsible for making sure that products are sent out to consumers in a timely manner, that orders and requisitions are processed correctly and that internal affairs run smoothly. This division is the largest of the AEM divisions, due to the enormous volume of administrative work that needs to be done. Second in size to ABC is the financial arm of Cybertronic, known as Finance and Economic Forecasting (FEF). None of the employees of Cybertronic would draw their salaries; none of the materials which the RDM pillar requisitions would be paid for, none of the media time would be purchased were it not for this division. The FEF is also responsible for minting the Credits with which all Cybertronic financial transactions are conducted. Security, Warfare and Intelligence (SWI), the last pillar of Cybertronic, both supports and taxes the resources of the other pillars. The SWI quite literally supports the other two pillars, for without it, there would be no need for the others who would not be able to save themselves from the predations of their larger and more established rivals. Contrary to the Brotherhood’s political spin, Cybertronic approaches war reluctantly, largely since they are the smallest of the Megacorporations and cannot match the military might of their rivals, yet. As a result of their size, they are focusing their efforts on defense and trade. When they must make war, it is swift, bloody and usually final. Having mastered defensive fighting, Cybertronic is able to quickly fortify and hold acquisitions other Megacorporations would have difficulty maintaining. Their ultimate strength however lies in the technology that they have produced, as it has given them both something to offer and afforded them superior response and mobility against those who would take it. "Meet your full potential at Cybertronic." The society of Cybertronic is unique amongst the other Megacorporations. There is little to no crime whatsoever within their society and the morale of the people is unbelievably high regardless of their station. Considering the fact that most of Cybertronic’s employees at one time or another belonged to other Corporations, this fact is truly an amazing phenomenon. There are numerous theories about how Cybertronic has achieved such a balanced and content society but in the end, they are only theories. Within Bauhaus, the interdisciplinary theory created by the group of scientists led by then General Jean-Louis Offenhauer has come to be the prevailing one. In short, it believes that Cybertronic has developed biochemical methods for altering the body's physical functions, and even the functions of the mind, the nervous system and the brain are manipulated by a secret substance, bacterium or genetic pattern. By infecting a person with this substance, his brain begins to work in line with the Cybertronic mentality, with little or no emotional influence in the decision-making process. The theory's main support is based on the fact that the Cybertronic crew is infamous for being predictable, almost machine-like in doing what seems most logical at the time, taking absolutely ALL possible factors into account. Jean-Louis Offenhauer, 96, is currently a chairman of Cyberchemical. Former Capitol Psychologist Dr. Simon Sullivan, expert on psychological combat reactions, theorized that the Cybertronic Phenomenon is the effect of a mental abnormality among the traitors. Faced with the perpetual threat from the Dark Legion, the terror-propaganda from the Brotherhood, and the high demands from society, these persons have been struck by a mental disease which reminds us of schizophrenia, causing them to give up their past and start a new career in a fresh, ungrudging environment. The decrease in stress levels and emotional expectation causes a shift in the personality of the victim. The syndrome, he continues, also changes the brain's chemical makeup, which improves the capability of logical thinking and calculation while suppressing emotions and imagination. The theory has gained much renown amongst both Capitolians and the Cartel, and even if no one takes it seriously, the Sullivan Syndrome still causes lots of trouble to the Cybertronic propaganda machine. Dr. Sullivan died from heart failure at the age of 28. According to Imperial, people are persuaded to become agents for Cybertronic in the same manner as Heretics of the Dark Legion. There has never been any proof of these activities, and of course, Cybertronic has neither admitted nor denied this though competing corporations spend huge sums on the forces that track down these infiltrators. Ninety percent of the persons that are accused of the crime of being a Cybertronic infiltrator confess, but that same percentage of the time, it takes torture to make them do so. In any event, the Imperial theory is the only one endorsed by the ISC and the Brotherhood jointly. What is actually known about Cybertronic’s society can be obtained from the files of Cyberchemical and Cybertronic Investment Inc. From the inception of Cyberchemical, the Mannerheims ensured that each and every employee received extensive medical and psychological care; to the early founders these were issues of employee care that could not be ignored. Today, every employee receives an extensive psychological evaluation which helps determine what that employee is both capable of and what they ultimately wants out of life. If this practice is still used within Cybertronic, then it would mean that the Corporation could help their employees realize their ultimate potential. It would know their dreams, their desires, the depths of their abilities and it would allow Cybertronic to accurately place each of their employees within the corporate structure, ensuring the utmost in efficiency while allowing its employees an unparalleled sense of job satisfaction. Cybertronic’s military is the smallest of any of the Megacorporations. It makes up for this shortcoming by its vast, technological superiority. Not only Cybertronic’s weapons, but even its soldiers, are full of electronic systems far more advanced than those of the other corporations. While Cybertronic rarely uses Hostile Takeovers to grow (unlike Imperial), they are an aggressively expanding Megacorporation, fighting to gain land, raw materials, production facilities and marketing areas. If Cybertronic does pull a Hostile Takeover, it is fast, precise and surgical. When this occurs, agents from the Internal & External Security Division (IES) insert into a target area to take out resistance while the Corporation submits the proper paperwork to the Cartel. By the time the Hostile Takeover has been approved by the Cartel and a notice sent to the sight’s parent Corporation, Cybertronic is already moving its own personnel in to retool the sight for its own purposes. This is rare, since angering the larger Corporations (Bauhaus, Capitol and Mishima) would mean certain death, which means that most Hostile Takeovers are against Cybertronic’s rival, Imperial. For those who try and overrun a Cybertronic facility, a vast technological threat awaits them. Each site is protected by a combination of highly motivated and technologically superior troops and automated defense weapons unseen on the battlefield since before the “Fall”. On the open battlefield, Cybertronic uses speed, deception and their technological superiority to bring a swift end to the conflict. The SWI has created a vast system of tacticians and analytical programming that has the ability to predict enemy movements and adapt to the battle faster than any human mind can hope to achieve. This is called the Cybertronic Defence Network or CDN for short. Every unit in the Cybertronic Army is mobile and connected to the CDN to create a “hive like” mind that can react to any battle stimuli in record time. Cybertronic likes to constantly relocate its troops on the battlefield in a truly mind boggling fashion, since its tactics are re-calculated by the minute to react to unfolding situations, in an attempt to create a weakness in the opposing force. These weaknesses are mercilessly exploited to achieve a quick and decisive victory. 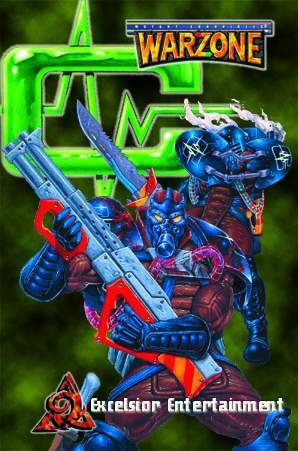 The Military Conflict and Resolution branch of the SWI is the main battle force of the Cybertronic Corporation. Its human troops are extremely well trained and equipped, with much of that equipment integrated into their own bodies. Unfortunately they are few in number and each loss costs the Corporation dearly. In recent years, Cybertronic has relied upon robotics to fill out the ranks of the MCR, both in the large Juggernaut and Cuirassier divisions and the smaller automated remote drones. Where Cybertronic cannot preemptively end a conflict with a single bullet, it uses guerrilla tactics and lightning assaults to destroy an enemy before it is even aware that it has been engaged. The troops that perform these duties are known within the SWI as Internal & External Security, or IES for short. Cybertronic’s Support Structure revolves around the different armored combat A.I.s that is available to the Corporation. Each of these Support Units has a unique mission criterion that has been programmed into their living brains, ensuring that the unit is completely ready for the mission at hand. While other Corporations may rely on large, cumbersome mobile armor, of fixed artillery emplacements, Cybertronic’s reliance on speed and mobility restricts much of its Support units to small, agile and deadly configurations. The Cuirassier program’s goal is to create the ultimate thinking machine in the field of war; soldiers that do not require rest, food, or housing, and are capable of withstanding adverse conditions throughout the Solar System; soldiers that neither questioned orders nor felt fear. Cybertronic scientists and computer engineers have made enormous strides in this direction, with sophisticated humanoid machines that are comparable to human soldiers in maneuverability, agility and adaptability, but lack the frailties of human nature. While the level of fail-safes, buffers and protective programming within these machines are high, some problems still occur. This may be due to latent Dark Symmetry that the unit’s shielded circuitry did not properly deal with or it could simply be the fact that in mass-production, mistakes happen that cause defective merchandise to occur, even in the vaunted Cybertronic equipment. Cybertronics most sophisticated designs fall in the realm of combining man and machine, from the cybernetic implants that are standard issue amongst its troops to the sophisticated “smart” weapons controlled by remote operators. The pinnacle of this cybernetic military doctrine is the Juggernaut Division of Cybertronic’s SWI. The R&D wizards of the Juggernaut Division have managed to break the barriers of the flesh and create soldiers who are far more machine then man. The fruits of these labors have spawned the steely backbone of Cybertronic’s Mobile Armor, The Eradicator Deathdroid and the Termination Drone series of combat robots. The EDD has proven exceedingly resilient to the effects of the supernatural due to the minimal amount of human tissue within the chassis and the extent of the A.I. in the infrastructure. Unfortunately, the Juggernaut scientists have yet to completely stabilize the merger of man and machine and there are reports of EDD’s going amok during battles. These reports do not outweigh the overall effectiveness of the EDD’s in numerous battlefield encounters though and Cybertronic employs several versions of the EDD in all major theaters of war. The Termination Drone series, from 4500 to 8000, represent a more robust and powerful combat unit that is capable of effectively wiping out large forces of infantry and immobilizing enemy armor with ease. The TDs are relatively new to Cybertronic but their effectiveness cannot be denied. Currently, most Termination Drones are in service defending Cybertronic holdings throughout the solar system and have not entered the theatres of corporate war. The Cybernetic Intelligent Transport Division is a subdivision of the Juggernaut Division and is focused upon creating vehicles that are completely autonomous of a human driver. Working mainly from the idea that a vehicle that does not need an operator is more efficient, CIT research & development teams devised an Operating System that is entirely unique from the other Cybernetic Divisions. Most of the other Cybetronic A.I.s were designed after humanoid constructs, since it was easier to integrate behavior, responses, motion and compatibilities in both hardware and software that are based on a human model. The CIT had to completely design their A.I. from scratch, using some basic templates from pre-Fall transportation and construction equipment, and molding it around different chasses. CIT designs are not widely in use on the battlefield and are regulated to specialized roles within the Cybertronic Military. This may change with the swift expansion of Cybertronic military operations, as the need to have quickly adaptable mobile armor and air support that can be salvaged and re-used indefinitely is a definite commodity.